252 pages | 18 B/W Illus. From the　tsunami to Hurricane Sandy, the Nepal earthquake to Syrian refugees—defining images and accounts of humanitarian crises are now often created, not by journalists but by ordinary citizens using Twitter, Facebook, YouTube, Instagram and Snapchat. 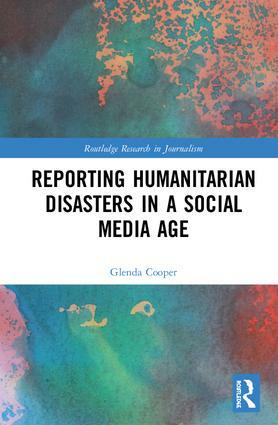 But how has the use of this content—and the way it is spread by social media—altered the rituals around disaster reporting, the close, if not symbiotic, relationship between journalists and aid agencies, and the kind of crises that are covered? Drawing on more than 100 in-depth interviews with journalists and aid agency press officers, participant observations at the Guardian, BBC and Save the Children UK, as well as the　ordinary people who created the words and pictures that framed these disasters, this book reveals how humanitarian disasters are covered in the 21st century – and the potential consequences for those who posted a tweet, a video or photo, without ever　realising how far it would go.